Imagine never having to “sell” in your business. What if instead of having to do outbound prospecting, your phone rang, emails came into your inbox, and people reached out to you asking you to do business with them? In this empowering and enlightening session, Elyse Archer, Personal Brand Strategist featured in Inc and Forbes, will compile and condense all of the best strategies she’s learned from spending countless hours and investing tens of thousands of dollars learning from the top personal branding experts in the world. You will learn the simple and straightforward tactics that you can use to immediately build your personal brand, monetize your message, and increase your influence. Elyse Archer is a Personal Brand Strategist with Brand Builders Group whose insights have been featured in Forbes and Inc. She is the host of the upcoming podcast "Instant Impact", where she shares how to accelerate your influence, income and network. She is passionate about helping people to focus their expertise, expand their reach, build their reputation, and brand the one thing that no one else has: their name. Every SEO campaign should start with choosing a well-defined target market. We’ll discuss how to use that information to develop and boost your seo. David Newton of Local Presence SEO has helped many businesses throughout the Triangle increase their seo to rank on the 1st page of Google. 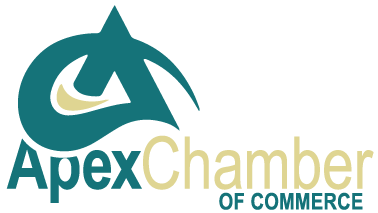 We support our community and actively serve through various organizations which include the local Chambers of Commerce, Rotary, and Ruritan National. We volunteer for worthy causes such as Habitat for Humanity, Guiding Lights, North Carolina Alzheimers Association, Big Brothers Big Sisters, and the local Rescue Missions.